Sony has just confirmed that PlayStation Now, its PS3-centric streaming game rental service, will be arriving on PC later in the year. Parts of Europe will be the first ones to access the service, with a North American release planned shortly after. While the PlayStation Now service has proved a little lukewarm on PS3 and PS4, extending the service to PC could prove the making of the cloud-based experience. Especially so when you consider this is the first time PlayStation exclusives such as Uncharted or God of War have ever appeared on any other platform. 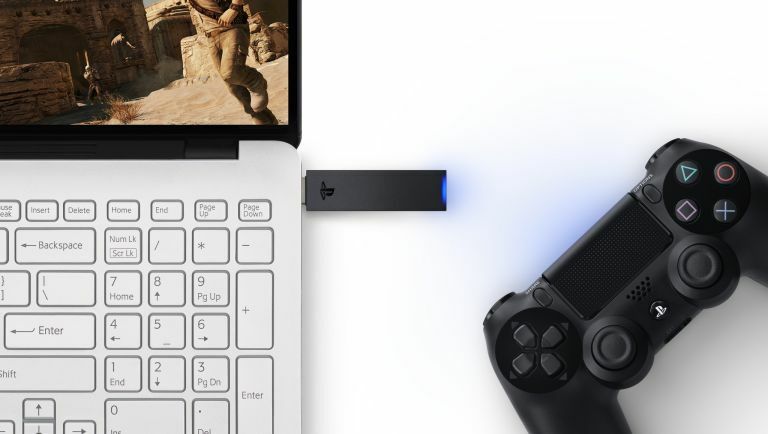 Sony also unveiled a new officially licensed DualShock 4 USB Wireless Adaptor, which will enable you to plug in Sony's best controller yet and enjoy those PlayStation classics exactly how they were meant to be played. It will also enable you to use Remote Play on PC or Mac, adding another string to its bow. The announcement might sound a little out of character for the normally platform-stringent Sony, but it's clearly a big move to combat Microsoft's aggressive push to unify its Windows 10 and Xbox One libraries going forward. Sony recommends a preferably wired internet setup, with a minimum 5Mbps connection required to use PS Now on any device. Specs wise, Sony says you should be running at least Windows 7 (SP1), 8.1 or 10 with a 3.5 GHz Intel Core i3, 3.8 GHz AMD A10 or faster under the hood. It also recommends 300 MB or more of memory, 2 GB or more of RAM, a decent sound card and, of course, USB port.